Tonga Football Association Futsal Instructor Kalisitiane Koaneti. Upskilling and refreshing new and old futsal referees on the Laws of the Game, TFA Futsal Instructor Kalisitiane Koaneti hosted a workshop at Loto-Tonga Soka Centre before kicking off the 2017 Tonga Football Association Futsal Competition last week. Guiding 22 match officials through the Laws with assistance from TFA Head of Refereeing Department Tevita Vea, Koaneti’s main objective for the two-day course was to ensure that Tonga’s new and experienced futsal referees were all on the same page ahead of the national competition. “I wanted to help as much as I could in this refresher course because some of the participants are new to the futsal refereeing process and it can be quite challenging,” he said. 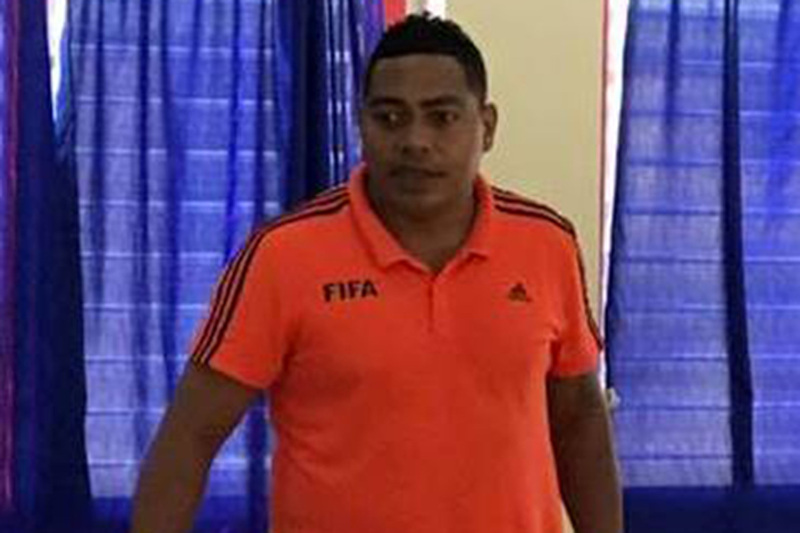 Tonga Football Association Head of Referees Department Tevita Vea was pleased to be involved in the development of the futsal referees and plans to implement the same learning pathways in Tonga Football’s other refereeing categories. “The development of futsal match officials is a fundamental role and part of the ongoing strategy of the TFA Refereeing Department to make sure all match officials meet the standards and requirements in their respective games,” he said. ‘’In recent years, developing Tonga’s match officials to meet the requirements of the growing game has become more important but more challenging. The games are faster and the players are more skilful. We need to develop specialised match officials to meet the needs of the different versions of the game. Although the short course offered a breadth of new information to the novices in the group, Koaneti acknowledged that the most beneficial training for the participants now is to be on the court with a whistle in hand. “These referees need game time in order for the Laws of the Game to become more practical,” he said. With the TFA Futsal Competition kicking off last Thursday, some participants of the course have already been able to put their new knowledge into practice in the senior men’ and women’s divisions, and the U-17 men’s and women’s divisions. With the four divisions only at the very start of their seasons, opportunities for the other match officials to showcase their knowledge won’t be too far away.